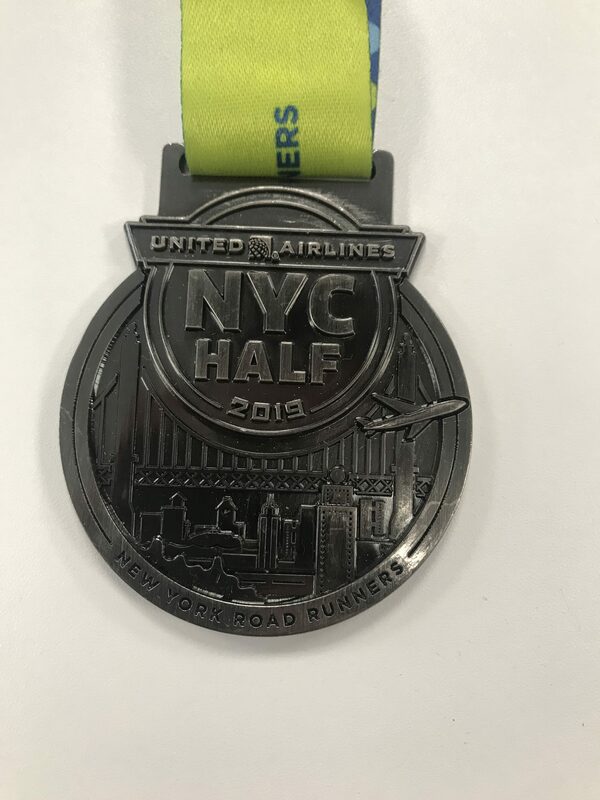 Sports Tours - We ran the United Airlines NYC Half. Home > News > We ran the United Airlines NYC Half. 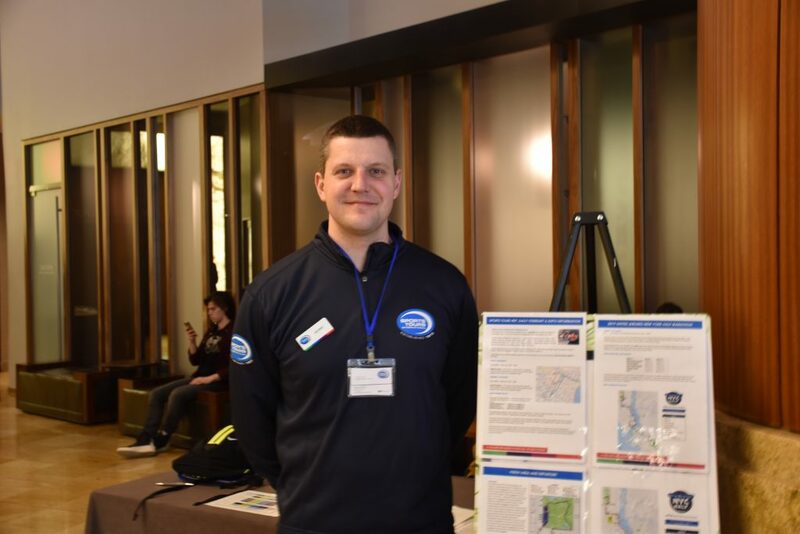 We recently took hundreds of runners and their families to ‘The Big Apple’ for the United Airlines NYC Half. This iconic half marathon gives runners the opportunity to run through the heart of one of the world’s most famous cities. 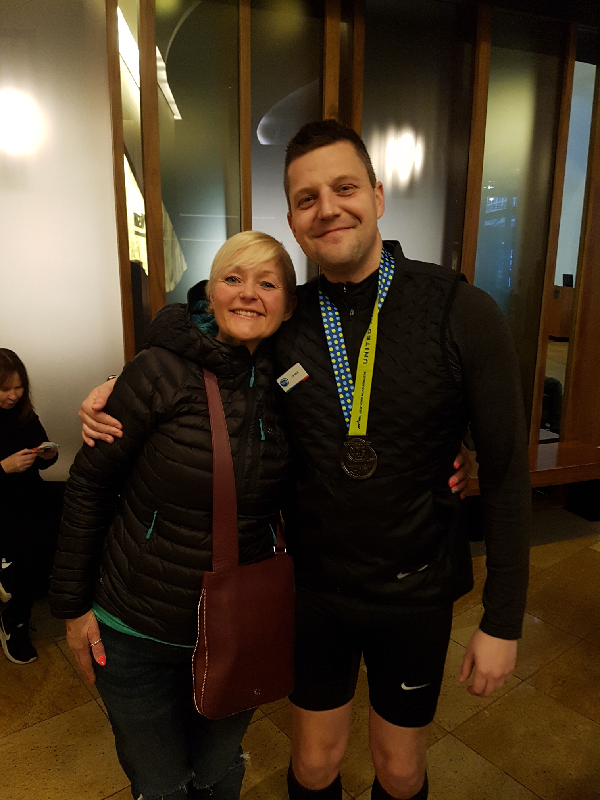 In addition to helping our customers to have a great running holiday, our team very much enjoy lacing up their own trainers so they can experience the race for themselves. We will then ensure that we pass on any well earned tips so we can assist you even more effectively at the next addition. 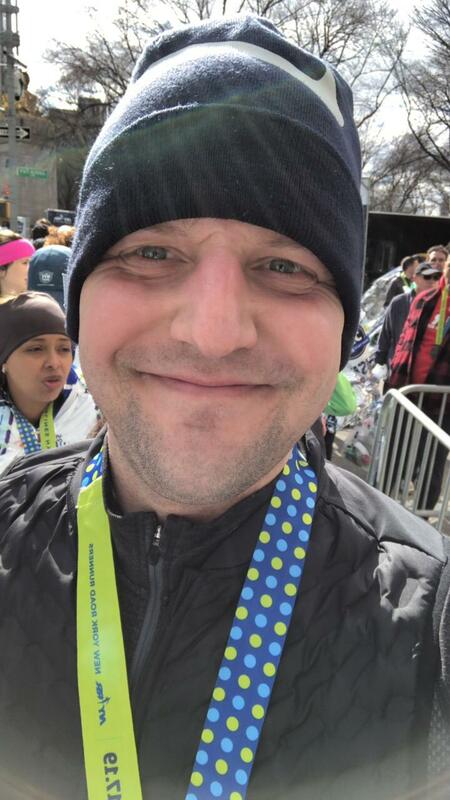 For this blog, one of our running reps Joe, discusses his experience of running the United Airlines NYC Half. So, over to Joe…. Race day started with a short walk to the Public Library for us to board the Direct Train to Prospect Park. 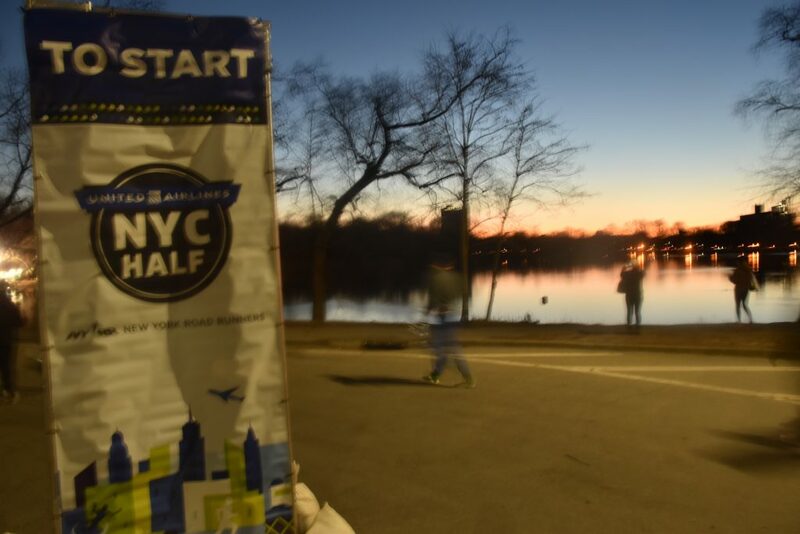 Within 40 minutes we arrived at our destination ready to enter the NYC Half starting area. The entrance was easy to find as you can hear the loud speaker in the distance and 25,000 runners walking in one direction. 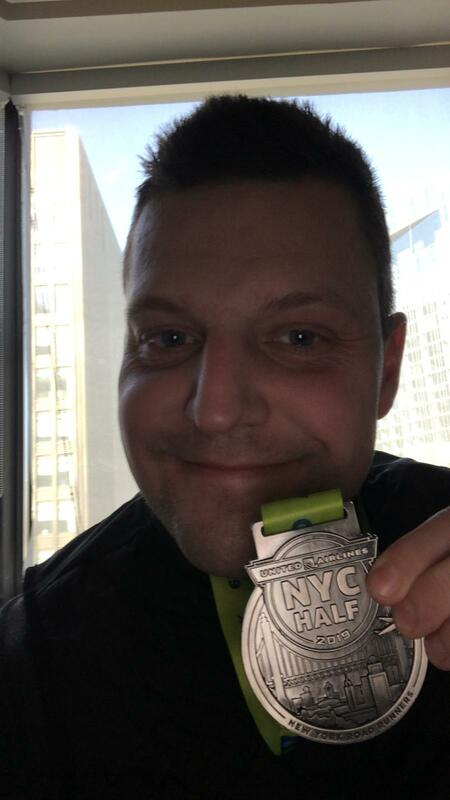 Once I dropped off my bag it was around a 90 minute wait (we always leave plenty of time, just in case) to begin my first United Airline NYC Half Marathon. The start area was well equipped with drinks, snacks and toilets. There was enough space for runners to relax and for the brave ones, to get warmed up before the race!!! The corals went through very quickly and efficiently and the roads were wide enough to allow space between other runners. We made our way back into the city seeing some amazing sites along the way. Unlike the full marathon, we only cross one main bridge which was absolutely amazing. I was impressed with the amount of water stations that were every 5K, along with gel stations around mile 10. The route was also well supported with thousands of local New Yorker’s coming out to offer words of encouragement. Most of the route is along the river which is a dream as you continually feel the breeze that will keep you cool. Once you arrive at 42nd street you actually pass the hotel we use for this trip (The Westin Grand Central), but there is no time for stopping! At this point I was fortunate enough to get a round of applause and a big cheer from our very own Marketing Executive Jade and many of our non-racing customers. Seeing familiar faces at this point really kept me going. It was really nice to see so many of our runners families making the short walk down to this point from the hotel to cheer on their loved ones. 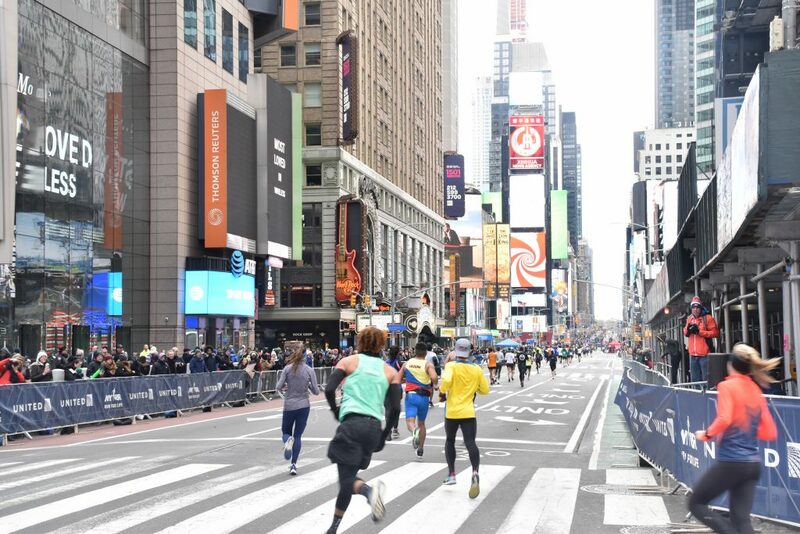 The full marathon does not go through Times Square due to road restrictions but on the half, you do, which is an absolute bonus! I really think this was the best area for support as most people gathered here due to so many hotels being close by. 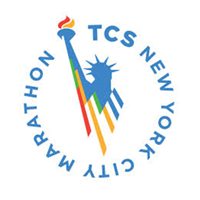 Shortly after the famous Times Square you enter Central Park which also attracts large crowds of supporters, which is most welcome at this point on the course. The route slightly changed this year compared to previous years, so you actually miss the “big hill” at the end. The Route was mostly flat apart from the one bridge – so the route is definitely faster than it use to be. The final 500m was just incredible, as it featured stands either side full of supporters and flags of almost every country. And once I crossed the finish line, the finish area was also well organised with plenty of heat blankets, food and snacks for everyone. The NYC Half medal is my new favourite as it’s so big and heavy. The New York Road Runners sure know how to reward you for your efforts. From the finish back to the Hotel is only a 25-minute stroll which is perfect, as at this point all you want is a nice hot bath and a drink to celebrate. 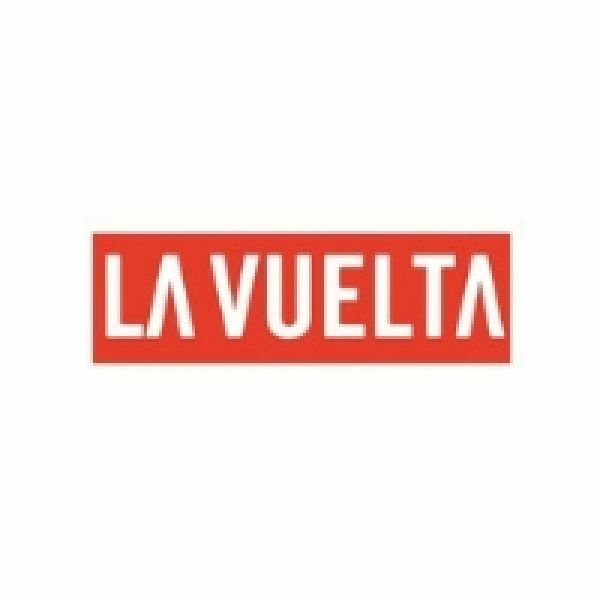 I would personally recommend this marathon for everyone as it’s well supported, brilliantly organised and after the great route you are rewarding with one of the best medals going!